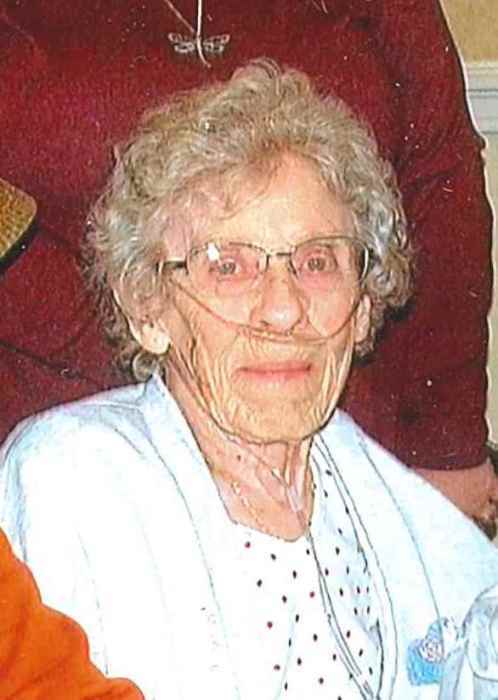 Patricia A. Butler (nee Goode), age 89, passed away peacefully on April 2, 2019 at O'Neill Healthcare in North Ridgeville. Born December 6, 1929 in Berea, Ohio to Leonard and Minnie Goode, she lived in Lorain County her entire life. She graduated from Elyria High School in 1948 and worked as a clerk at Value City in Elyria for 15 years until her retirement in 1990. She was a member and advisor of 4-H with her husband Merlin, judging in many 4-H horse events and was often referred to as “Mom Butler”. They were also members of the Wellington Eagles. In addition to her community involvements, Patricia loved bingo, reading and enjoyed watching her grandson, Ty, play sports. Surviving is her son, Greg (Sandra) Butler; daughter in law, Kathy Butler and grandson Ty Butler. She was preceded in death by her husband of 51 years, Merlin G. Butler; both parents, Leonard and Minnie Goode; son, Michael Butler and brother, Jack Goode. The family will receive friends on Saturday, April 6 from 3 – 7 p.m. in the Dovin Funeral & Cremation Specialists, 2701 Elyria Avenue, Lorain. Private committal services will be held at a later date. Memorial contributions in Patricia’s honor may be made to the Lorain County 4-H Fund, 42110 Russia Road, Elyria, OH 44035.